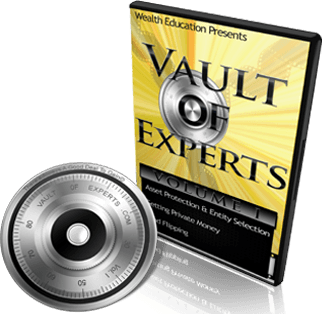 Unlimited access to on-demand courses showing step-by-step how to: wholesale for fast cash, renovate for big profits, and build a passive income portfolio that puts money in your pocket monthly! Membership includes access to every tutorial, existing and new ones to come, from a wide variety of REAL experts to immediately download, right from your computer or smartphone. Develop a clear, compelling and high-resolution future picture of what you and your businesses can be. 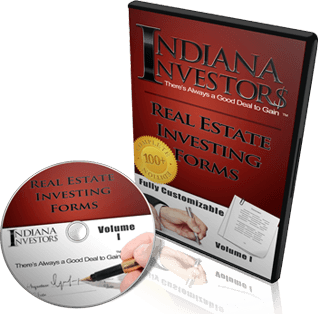 Your membership includes the official Real Estate Investor Association™ Platinum Package, a mega-pack of training and resources containing a TWO VOLUME set of indispensable real estate and business forms, contracts and checklists. 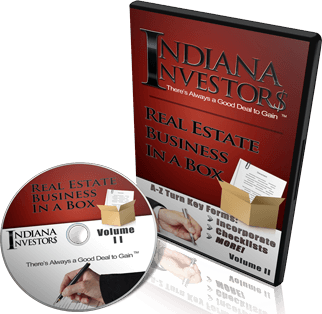 PLUS 2 DVDs worth of real estate training from the best in the industry. The Real Estate Paperwork A complete collection of fully customizable Real Estate Investing forms and documents: Warrant Deed, Quit Claim Deed, Land Contract, Promissory Note Protection Clauses, Land Trust, Option to Purchase, and many more! Turn-Key Business In A Box Protect yourself personally and corporately with the proper business instruments to power your R.E.I. machine. Editable so you need only fill in the proper blanks for: Bill of Sale, Income Record, Release Of Lien, Operating Budget, Expense Allocation, Limited Liability Company Formation Documents and more! I’ve increased my business 30% in the first year because of the training and community here. If you want to learn how to be a successful real estate investor, this is where you need to be. The Association offers training, knowledge, networking and good friendships with a common group of people who have and hold property: landlords, rehabbers and resellers. If you’re not a member you got to join because the member benefits will just blow you away! Whether your property inventory is 1 or 100, you’ll recoup the price by learning just one golden nugget of knowledge from these industry leaders! Lock in the price and savings of $1251 and get a ton more access! Not only access the Community Showcase but be in it! One of the ways to achieve true financial freedom is to harness the power and automation of technology. Get Full Access Now ! Want to learn the latest, proven techniques for getting deals? (pausing, rewinding and replaying these videos as much as you want). Want to create powerful marketing to build a buyers list or rent and flip houses fast? No problem. Just log in, go to the marketing section and watch as we show you exactly what to do, all step by step. Even download done-for-you marketing tools. What if you have questions along the way? No worries there either. With just a few clicks you can receive fast answers to all of your questions from our USA based Community Manager via email or phone. And tap the entire community for ideas in the Community Forum. All of our training is available on-demand. That means there are no scheduled times you have to be online to take the training. Instead, you just log in whenever you’d like…24 hours a day, 7 days a week…select a course and begin learning. You can move at your own pace and on your own schedule. Don’t know the first thing about real estate? Baffled by how it all works? Haven’t even wrote an offer to purchase yet? Good. Then our training is perfect for you. without any confusing geek-speak. All you have to do is watch what we show you…and then repeat. It couldn’t get any simpler. and turn those skills and connections into cash (while also staying way ahead of your competition). So why wait? Directly below you’ll see a button that takes you to a secured, fast check out for immediately access. (you can cancel your membership at any time… with no questions asked). Enroll now while it’s still fresh on your mind. It could be the best investment you’ll ever make in both yourself and your business. A: Click the blue button to go to our secured check out. After you pay click the “return to seller” link, in order to complete your registration. Once you’ve registered you’ll get a welcome email with instructions to get get inside the member area. Q: Do I need a Paypal account to register? A: a Paypal account or a credit card will work. Q: I wasn’t re-directed back to this site to register. Now what? A: You will get an email with a link to click in order to complete your registration. If The email is not in your inbox it may be in your Bulk or Spam folder. Q: Any hidden fees, upsells or reoccurring charges?